September is here, and I have already started up on my DIY fall projects. This DIY fall dessert platter is perfect for all of my upcoming fall get-togethers and parties. 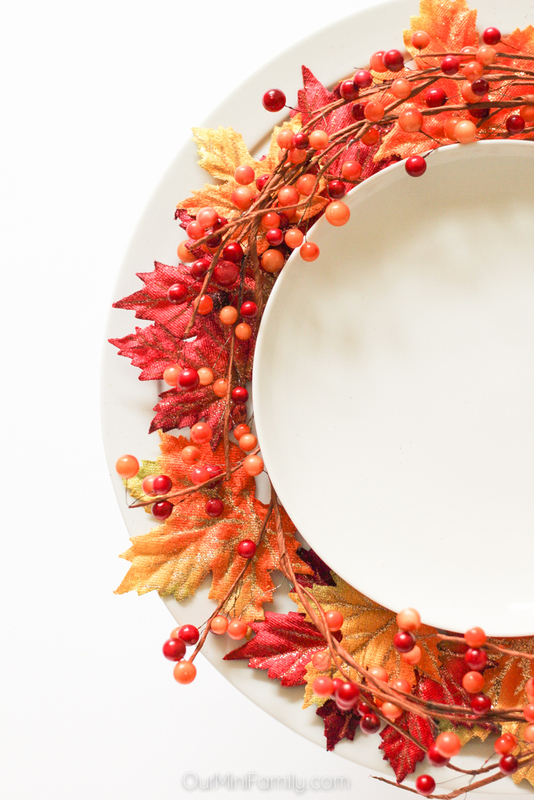 I can't wait to use it all the way up until it's time to decorate for Christmas--today, I am sharing the tutorial for my fall dessert platter so you can decorate one of your own! 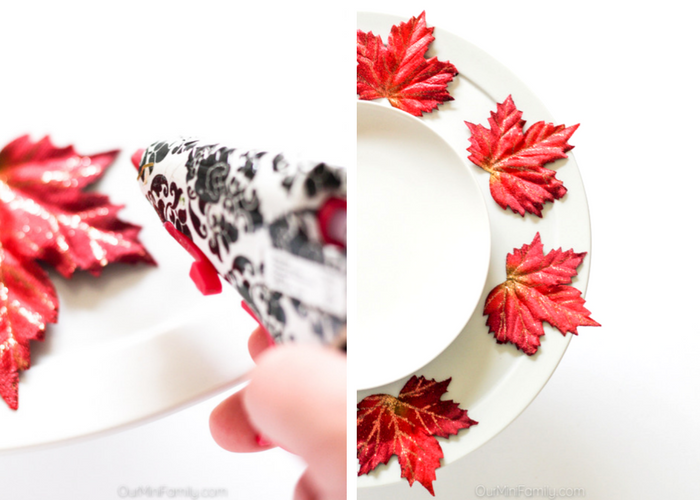 This dessert plate is so easy to decorate and it's perfect for the whole season. For this party platter, I used: a plain white cake plate, fall garland, faux autumn leaves, a glue gun, glue, and a clean white plate. Start by lining the cake plate around the outer edge with the largest leaves, and use the hot glue gun to adhere the leaves to the plate. Continue to add more leaves and glue them as you add them--I would recommend adding the larger leaves first, and then building layers with the smaller leaves on top. Once you have the leaves in place, lay a clean plate on top (this is the plate you'll be serving the desserts on, and the cake plate edge serves as a decoration). Unravel the garland if you bought it in a wreath, and then wrap it around the edge of the inner plate. You can secure the garland under the plate, and I would not recommend gluing the garland to the leaves since you will want to remove the top plate to clean after the desserts have been enjoyed. 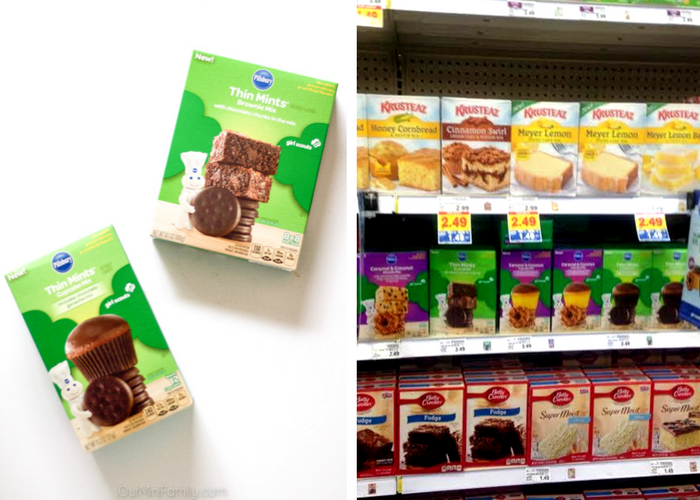 Adam and I found these Pillsbury™ Girl Scout Cookie™ Inspired Baking Mixes at Kroger, and after much debate trying to decide which ones to bring home we agreed on buying the Girl Scout® Thin Mints® Brownie Mix and Girl Scout® Thin Mints® Cupcake Mix. These new Pillsbury™ Baking mixes are now in Girl Scout Cookie™ inspired flavors at Kroger in the baking aisle! They come in kits to provide everything you need to create Girl Scout Cookie™ inspired treats with Pillsbury™ and they are so good! After Adam and I baked our Pillsbury™ Girl Scout Cookie™ Inspired Baking Mixes together, we put them on display and served them on our new fall dessert platter! 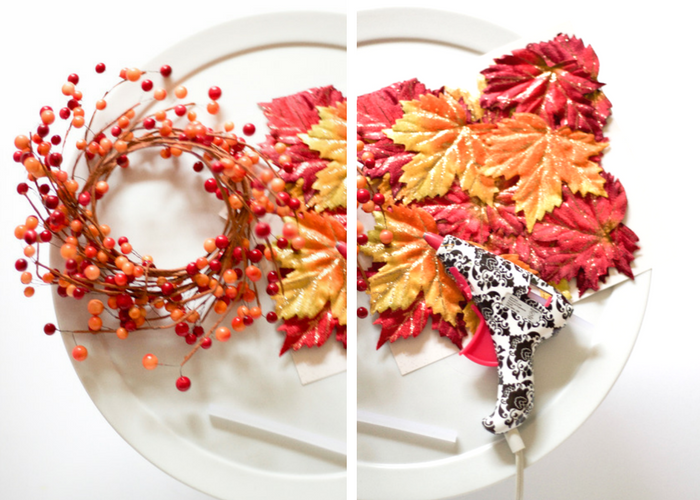 Don't forget to save this DIY fall tutorial to Pinterest! 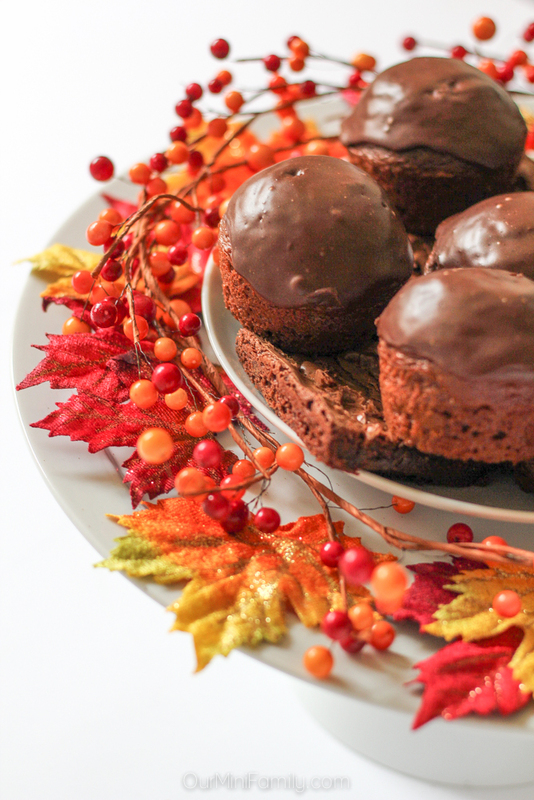 Which of these Pillsbury™ Girl Scout Cookie™ Inspired Baking Mixes do you want to try? So cute!! 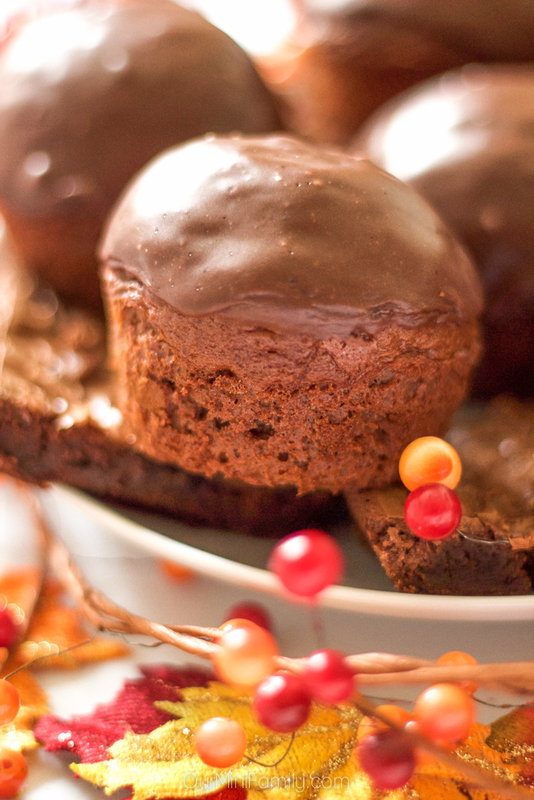 I am craving chocolate right now, so those desserts look amazing. What a cute idea! 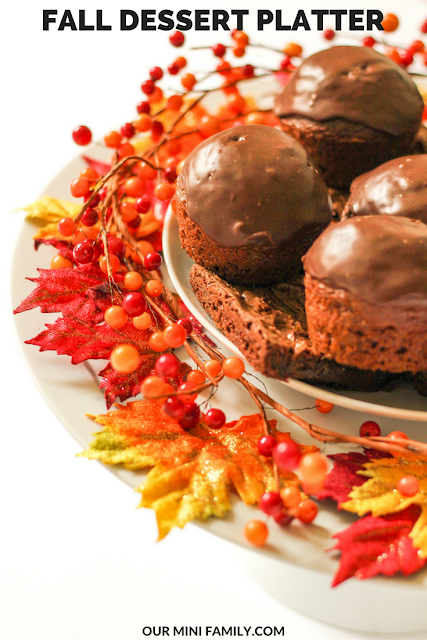 I can't wait until the weather cools down and I can dive in head-first into some autumn baking. These look yummy! I have everything all ready to do this, great idea. So cute! I LOVE fall decor and cannot wait to start decorating for it! LOVE these leaves on this platter! I love the Fall inspired platter! And the recipe looks amazing... I know my family would love it! Thank you for sharing! The platter is just beautiful! I love it. I still am so curious about the cookie mixes, we haven't tried them. Yet. 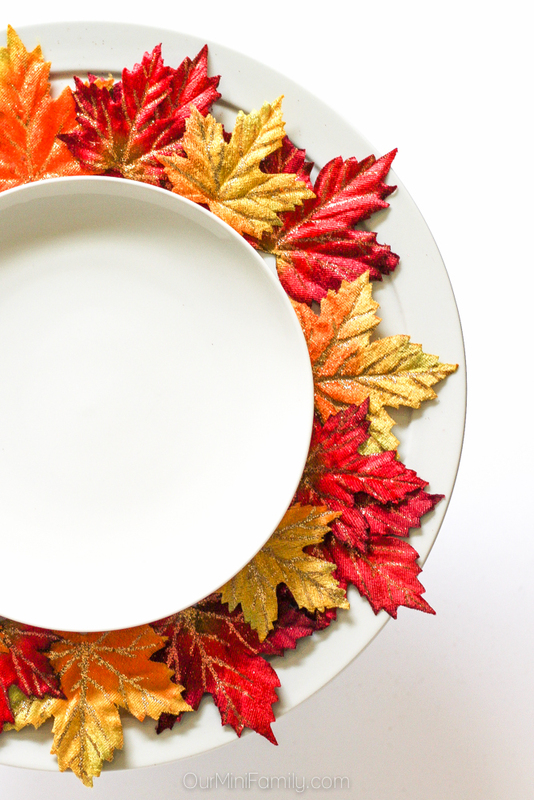 What a gorgeous fall platter! I'm thinking I could even do this and put candles in the middle as a table center piece. Love it! So pretty! I love how elegant it is.